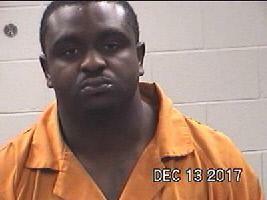 After answering to Polk County for his crimes, Harris-Hines will then be turned over to Liberty County law enforcement. 32 year old Johnny Harris-Hines, of Beaumont, was driving this 2008 Hyundai Santa Fe when he struck a Best Air Truck. Driver Strikes Other Vehicle, Arrested for DWI and Possession, LIVINGSTON, December 11, 2017 - At approximately 11:20 am on December 11, 2017, a white 2008 Hyundai Santa Fe, driven by Johnny Harris-Hines, 32, of Beaumont, was north-bound on US-146. Harris-Hines decided to pass a Best Air service truck. Harris-Hines got too close and struck the Best Air truck. Harris-Hines' vehicle continued to the shoulder where it came to rest. The Best Air truck pulled to the shoulder at 146 at FM-1988. Americare Ambulance Service was dispatched to the scene along with Deputy Josh Sanders with the Polk County Sheriff's Office, and Troopers Colton McQuilkin, Nick Hatton, and John Allen with the Texas Highway Patrol. Harris-Hines appeared to be intoxicated. There appeared to be white powder around his nose. Troopers found a small bag of crack cocaine and two cigarettes that were dipped in a foreign substance in Harris-Hines' vehicle. Harris-Hines was placed under arrest for driving while intoxicated and possession. A rollback wrecker from Ken's Towing recovered Harris-Hines' vehicle and it will be stored at Pollock's Body Shop in Livingston. There were no reported injuries. The Best Air service truck was driven from the scene. Trooper Colton McQuilkin is assisted by Deputy Josh Sanders as they place cuffs on Harris-Hines. Trooper Nick Hatton asks Harris-Hines about the small bag of crack cocaine that was pulled from his vehicle. Hatton then asked Harris-Hines bout the 2 cigaretts that had beed dipped in a foreign substance that were also found in his vehicle. Harris-Hines was arrested and transported to Polk County Jail. So far he's being charged with driving while intoxicated and possession. Harris-Hines' vehicle was recovered by Ken's Towing.